Life, as we all know, is never plain sailing. We often struggle through the daily grind with gritted teeth, knowing that somehow, despite our best efforts we never seem to live up to the label Christian. Sometimes or perhaps most of the time, we feel like we d rather not bother Well, Jeff has been there and not surprisingly, has faced the same struggles as we do. 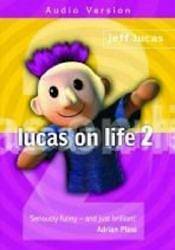 Lucas on Life 2 is a very personal account of life s ups and downs but has one resounding message despite everything we do say or think, God still loves us Recorded at United Christian Broadcasters by Matt Webster"